Step out in style with Jimmy Choo’s latest Made-to-Order collection. Just in time for fall and the upcoming holiday season, the customizable service has been expanded to include new shoe and handbag designs in a mix of various textures, fabrications and finishes. New shoe styles added to the service include the classic ROMY, a modern-day update to the signature pump, and the EMILY peep-toe sandal. Make it your own by choosing from a metallic alphabet of letters, numbers and symbols to decorate the sole of your Made-to-Order shoes with initials, a short phrase or a memorable date. For the very first time, luxurious velvet is offered in a rich palette of seven hues, including Navy, Bordeaux and Bottle Green. 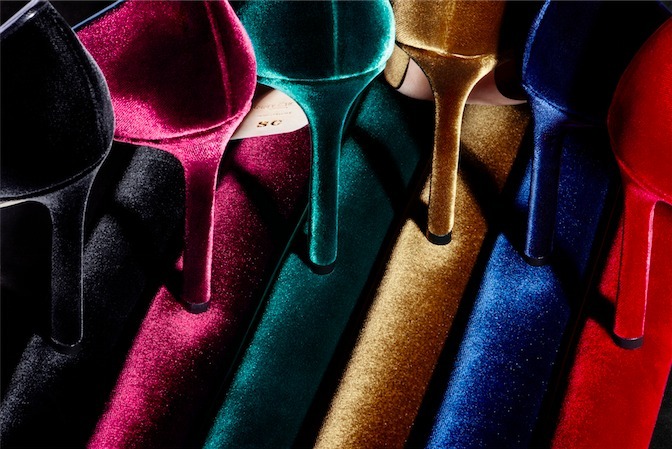 Customers may also choose among delicate suede, radiant satins, sumptuous leathers, signature glitter, crocodile and exotic snakeskins to make their dream soles a reality. Elevate elegant dinners, galas and cocktail parties with a bespoke handbag to match. Customize the CHANDRA, with its statement chainmail bracelet closure, or the CELESTE, with its refined frame silhouette, by choosing between gold or silver hardware, along with a myriad of colors, fabrics and optional monogramming for an exceptional personal touch. Known for its Italian craftsmanship and luxurious quality of materials, Jimmy Choo’s Made-to-Order service speaks to the house’s heritage as a bespoke atelier that delivers the utmost in personalized style. To arrange a private appointment at Jimmy Choo Fashion Square, or for more information on Jimmy Choo’s Made-to-Order collection, please call (480) 947 2067. Jimmy Choo at Scottsdale Fashion Square is located on Level 1 at 7014 E Camelback Rd, Scottsdale, AZ 85251.